180 Gram Audiophile Black Vinyl in Gatefold Sleeve. The album debuted in the Top 5 in album-charts of the US, Canada, Japan, China and many other countries. Five singles were released from the album. 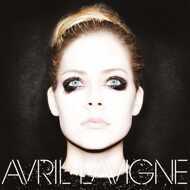 Its lead single "Here's To Never Growing Up" peaked at number one on the in Taiwan and The Philippines. Other singles, including the duet with Chad Kroeger "Let Me Go", "Rock n Roll", "Hello Kitty" and "Give You What You Like" became succesful international hits. Avril Lavigne received two award nominations; The Juno Award for best Pop Album and World Music Award for World's Best Album.